Gee, Warlord Games has just been putting out all the minis lately, haven't they? After Bolt Action and Beyond the Gates of Antares, they still had it in them to release a pair of Konflikt '47 figures. And they're no small things, either. 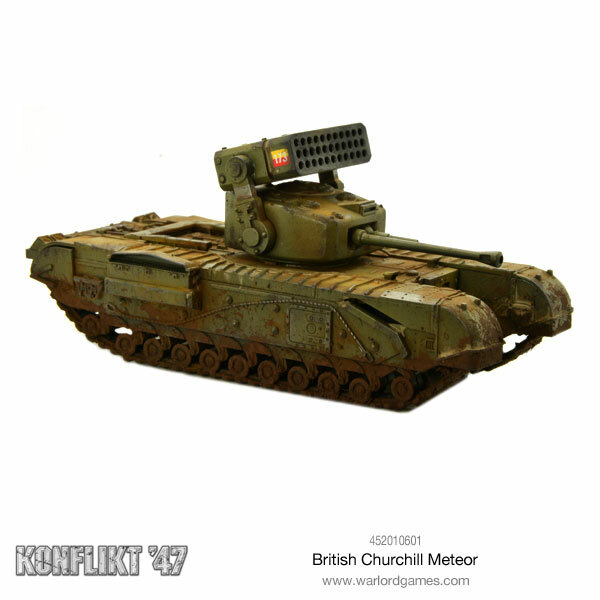 You've got the Churchill Meteor tank and then the US M3A2 Pondskater scout walker. In a bid to utilise more Rift-technology in enhanced combat power, a relatively minor line of development inadvertently spawned the Meteor Rocket and subsequently its tank-mounted launcher. The discovery of a metal degrading enzyme that could rapidly degrade armour plate led Britain’s Rift-tech scientists to develop a ceramic-tipped rocket that could be launched from a multiple launcher against heavily armoured targets. As the US Army fought the Germans in France, their reconnaissance forces had to rapidly refine their skills in the face of experienced German opposition. 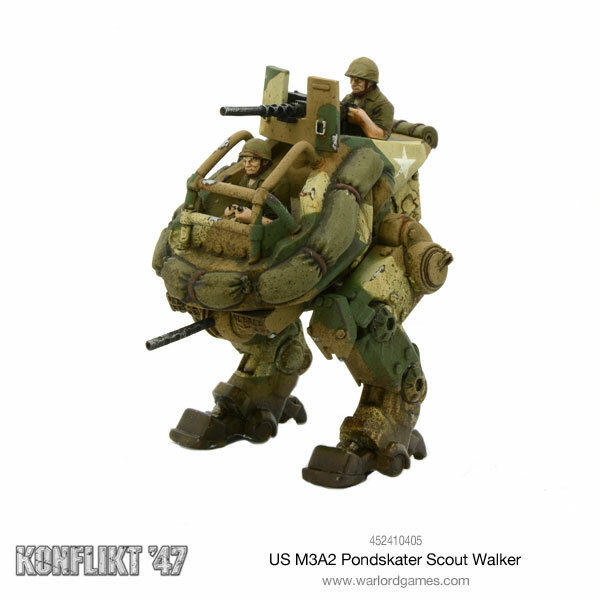 The demand for an agile walker led to the creation of the M3A2 Pondskater.